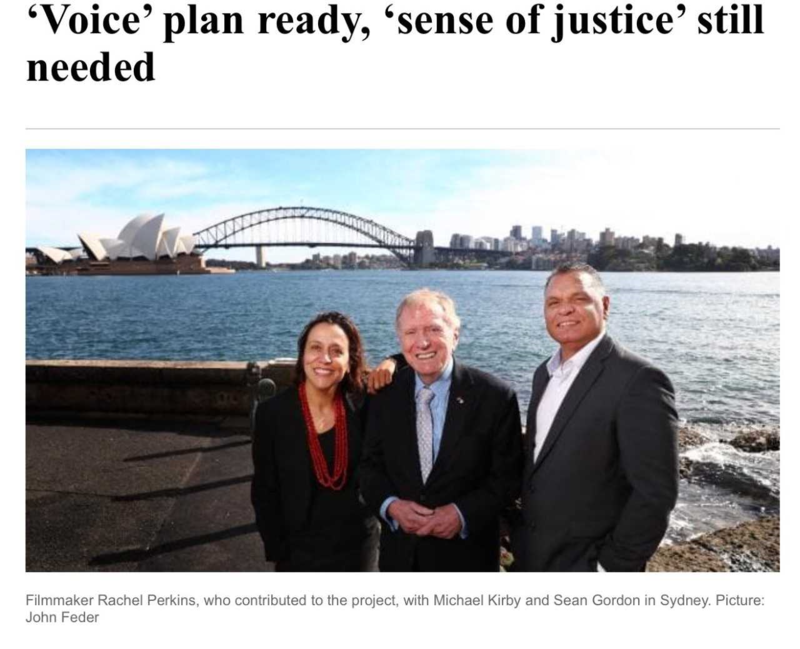 ” The key contribution of Upholding the Big Ideas is that it presents us with models for how the Australian Parliament might hear Aboriginal voices and do so more effectively. Two options are suggested. The speaking for country option, which would require the Commonwealth to establish and recognise local entities for Indigenous people who would speak for their communities. The second option is where the Commonwealth would establish a national Indigenous advisory body whose members would be chosen by delegates from local indigenous organisations. 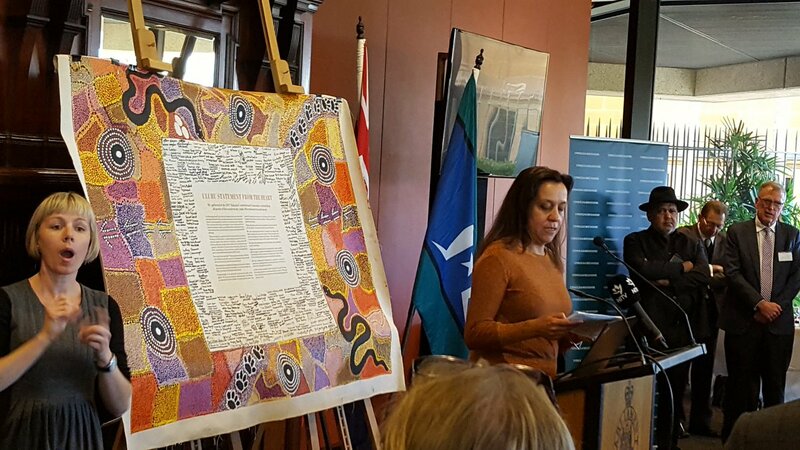 Uphold and Recognise, an organisation committed to reconciling two imperatives: to uphold the Australian Constitution and to recognise Indigenous Australians, has joined with the Australian Catholic University to produce a policy document: Upholding the Big Ideas. To download each paper as a PDF file, click the titles above. To download all four papers via a single Zip file, click here. Just over a year ago, 250 Aboriginal representatives from all parts of Australia met at Uluru and issued what they called the “Statement from the Heart”. At its core was the call for the Australian Constitution to be amended to provide for a First Nations’ Voice to Parliament. The Prime Minster, Malcolm Turnbull, subsequently remarked that the Uluru Statement contained “big ideas” but was short on detail as to how the ideas might be implemented. 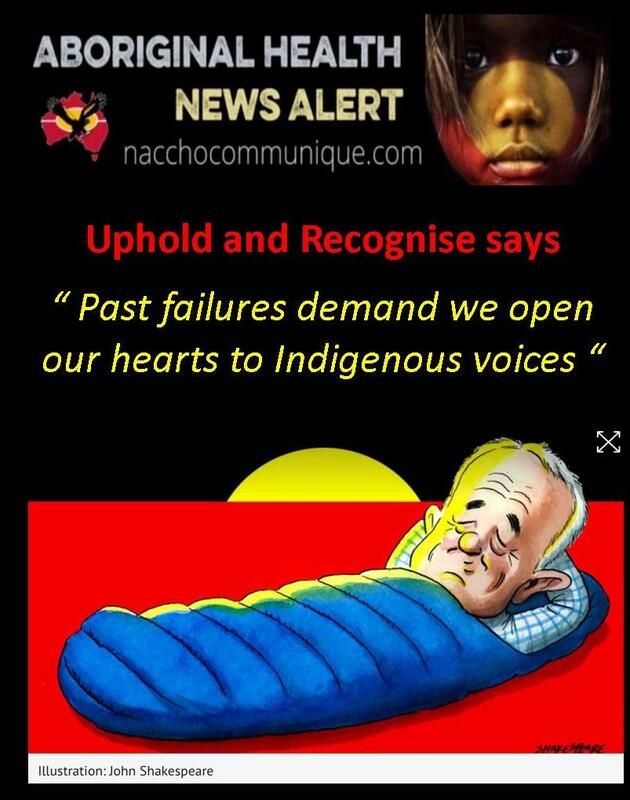 A year later, it is time for Australians to respond thoughtfully to the voice of our Aboriginal people. This is necessary to spell out exactly what is needed in the here and now. At first, I probably had concerns similar to those that caused our Prime Minister to reject the big ideas of Uluru. He did so, however, before there had been any real discussion, or an opportunity for Australians at large to debate the options for implementing them. reactions. They will think again. This is such an occasion. Most fair-minded Australians would agree that, so far, we have not done such a good job of listening to the voices of our Indigenous people. Their persisting disadvantages are a stain on our country’s nationhood. appropriate for us to think again about what our First People are proposing to us. The failure to recognise their rights over their traditional lands was a long-lasting source of economic deprivation. It contributed significantly to the disadvantages that Indigenous people still experience in Australia in so many aspects of their lives —including in housing, healthcare and education. So, when representatives of the Aboriginal and Torres Strait Islander people of Australia came together to make a serious proposal to their fellow citizens, it behoves us all to give their proposal careful consideration. Not to reject it out of hand. Rejection was the attitude that led to the original denial of land rights—an injustice that took us 200 years to correct. This time we need to do things better and quicker. In recent years, many leading citizens of Australia have begun to ask what we can do to ensure that our country and all its citizens will be reconciled fully and justly with our Indigenous peoples. custodians of the land on public occasions or inserting poetic recitals in all our constitutions federal or state (so long as they have no legal consequences). The key to making real progress lies in listening to the voices of our Indigenous people whenever important issues arise that affect them and their communities in a special way. Listening is always important. But it matters most of all in the federal Parliament, where our country’s most important laws are debated and adopted. That is what the Uluru Statement from the Heart requests: it does not ask for special reserved Aboriginal seats or proportional Indigenous representation in federal parliament; it does not ask for a veto on legislation; it does not expect that what the Indigenous voices say will always be agreed to or accepted. important to our Indigenous people, does not seem an excessive or unreasonable demand. It is one that a self-confident and just parliamentary democracy should be willing to deliver. If we had adopted this big idea much earlier, we might have avoided the many mistakes and injustices that have marred Australia’s relationship with its Indigenous peoples until now. Parliament has not made such a good fist of things that it can fairly reject this proposal as unnecessary or premature. The best place to locate an obligation to hear such voices in Parliament would be in our national Constitution — where many other provisions concerning the Parliament are found. That would ensure that the proposal could not be abolished or diluted through the vicissitudes of partisan politics. It would emphasise the unique, historical and corrective character of the reform that marks off our Indigenous people from other groups and minorities in Australia. The proposal for a direct voice to Parliament is the central call of the Uluru Statement. If constitutional change is considered too much to ask, however, the very least we should do immediately is to urge our Parliament, acting out of its own powers, to respond, from the Heart of our Democracy, and to afford a unique voice to our Indigenous fellow citizens to speak directly to the Parliament on matters that specially concern them. That said, we also need to hear them when they remind us that our Parliament has set up such a voice for them before, and then proceeded to silence that voice because there was no constitutional obligation requiring Parliament to hear their voices. We should listen to their voices. We should open our ears to their voices. And we should open our hearts to what they say. Michael Kirby is a former High Court judge and was the recipient of the Australian Human Rights Medal 1991.